India’s tiger population is on the rise but their habitat is shrinking and we are poised for a conflict between humans and the big cats. Tigers are territorial animals and their rising numbers usually go hand in hand with an increase in their territory. Due to the shrinking of their habitat, tigers are increasingly moving closer to human populations, increasing the chances of conflict and harm to all concerned – the striped predator, livestock and humans. The shrinking of forest areas also threatens the tiger – and wild flora and fauna – in other ways. Experts say it will lead to the isolation of the ‘source populations’ of the tigers. Source populations are tigers found in stable numbers at the particular geographical area – in India’s case, various tiger reserves and national parks. Source populations are the well springs that sustain tiger numbers. 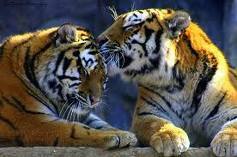 But if they are cut off from other tiger areas, increasing inbreeding weakens the predator strain. There has been a steep decline in territories occupied by the tiger in India – from 93,600 sq km in 2006 to 72,800 sq km today. The growing population of tigers has less space to expand and has to move into forests categorized as multiple-use areas. Policymakers and the authorities concerned will have to urgently recognize and overcome this problem, otherwise, where will these big cats go? A task force immediately needs to be constituted to suggest and implement new ways of conservation of forests that would safeguard the interests of wildlife and animals.